It is with the deepest regret that we have learned of the passing of the revered South African anti-apartheid icon who spent 27 years in prison, led his country to democracy and became its first black president. Nelson Rolihlahla Mandela – Madiba died today at his home. "He is now resting," said South African President Jacob Zuma. "He is now at peace." "Our nation has lost his greatest son," he continued. "Our people have lost their father." A state funeral will be held, and Zuma called for mourners to conduct themselves with "the dignity and respect" that Mandela personified. His government focused on dismantling the legacy of apartheid through tackling institutionalised racism, poverty and inequality, and fostering racial reconciliation. Politically an African nationalist and democratic socialist, he served as the President of the African National Congress (ANC) from 1991 to 1997. Internationally, Mandela was the Secretary General of the Non-Aligned Movement from 1998 to 1999. A Xhosa born to the Thembu royal family, Mandela attended the Fort Hare University and the University of Witwatersrand, where he studied law. Living in Johannesburg, he became involved in anti-colonial politics, joining the ANC and becoming a founding member of its Youth League. After the Afrikaner nationalists of the National Party came to power in 1948 and began implementing the policy of apartheid, he rose to prominence in the ANC's 1952 Defiance Campaign, was elected President of the Transvaal ANC Branch and oversaw the 1955 Congress of the People. Working as a lawyer, he was repeatedly arrested for seditious activities and, with the ANC leadership, was prosecuted in the Treason Trial from 1956 to 1961 but was found not guilty. Although initially committed to non-violent protest, in association with the South African Communist Party he co-founded the militant Umkhonto we Sizwe (MK) in 1961, leading a bombing campaign against government targets. In 1962 he was arrested, convicted of sabotage and conspiracy to overthrow the government, and sentenced to life imprisonment in the Rivonia Trial. Mandela served 27 years in prison, first on Robben Island, and later in Pollsmoor Prison and Victor Verster Prison. An international campaign lobbied for his release, which was granted in 1990 amid escalating civil strife. Becoming ANC President, Mandela published his autobiography and led negotiations with President F.W. de Klerk to abolish apartheid and establish multiracial elections in 1994, in which he led the ANC to victory. policy, his administration introduced measures to encourage land reform, combat poverty, and expand healthcare services. Internationally, he acted as mediator between Libya and the United Kingdom in the Pan Am Flight 103 bombing trial, and oversaw military intervention in Lesotho. He declined to run for a second term, and was succeeded by his deputy, Thabo Mbeki. 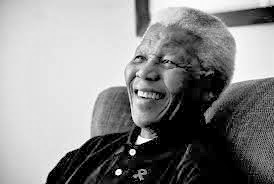 Mandela subsequently became an elder statesman, focusing on charitable work in combating poverty and HIV/AIDS through the Nelson Mandela Foundation. Mandela was a controversial figure for much of his life. Right-wing critics denounced him as a terrorist and communist sympathiser. He nevertheless gained international acclaim for his anti-colonial and anti-apartheid stance, having received more than 250 honours, including the 1993 Nobel Peace Prize, the US Presidential Medal of Freedom, and the Soviet Order of Lenin. 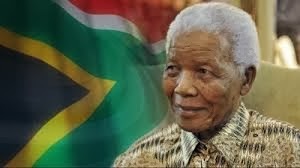 He is held in deep respect within South Africa, where he is often referred to by his Xhosa clan name, Madiba, or as Tata ("Father"); he is often described as "the father of the nation". 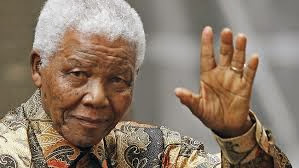 Mandela died following a long illness on 5 December 2013 at his home in Johannesburg. Rest in Peace, Tata Mandela. Tata – This Xhosa word means “father” and is a term of endearment that many South Africans use for Mr. Mandela.